Teton Gravity Research and Anthill Films reimagine the ultimate skier's dream–a powder day–in mountain biking terms. Dirt falls from the sky like snow while ecstatic riders play across a magical landscape. For Thomas Vanderham, Matty Miles, Ian Morrison and Finn Iles, the Dirt Blizzard was something that they once could only dream about…until now. Find out more about unReal here. 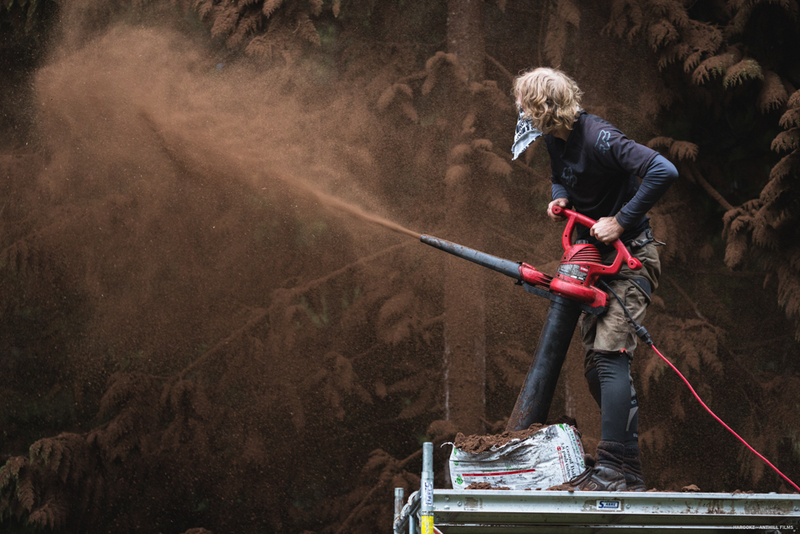 In order to mimic the sensation of an epic powder day, peat moss—totaling thousands of pounds—was dispersed or shot into the air using the elegantly simple Toro Super leaf blower. Drifts of dirt blanketed the trails, trees, and landscape, leaving Vancouver hardware stores sold out of peat moss for weeks. 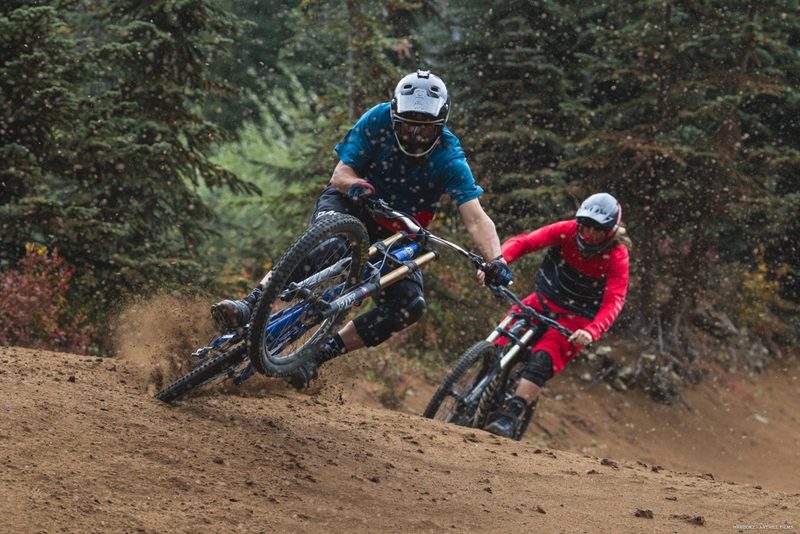 Production of the Dirt Blizzard segment took place late last fall, as the bike park season was winding down. 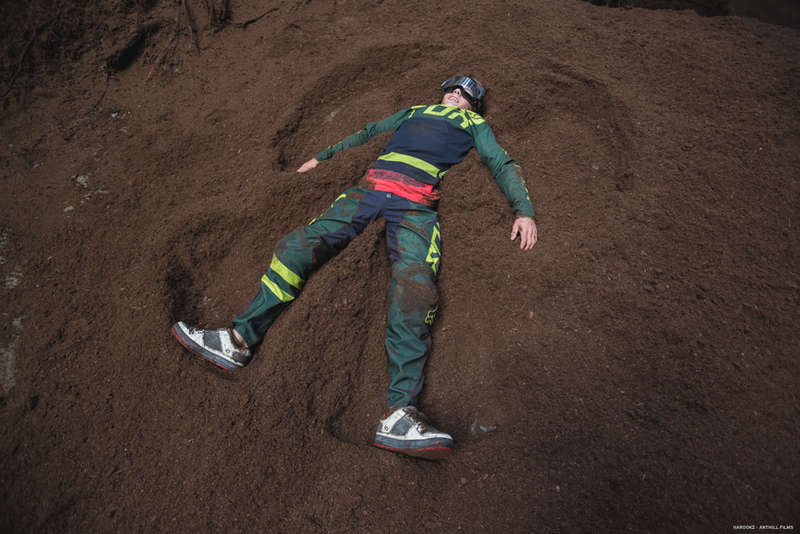 Preparations for the shoot began on a cold morning with the masses of peat moss being dumped in front of Whistler Blackcomb's Administration building. Small dirt movers, or “park-rats”, transported the brown pow up Whistler Mountain to the top of the Fitzsimmons Express chairlift. The project required so much peat moss, companies in Vancouver eventually would no longer sell to the Anthill production crew, as they were depleting the coastal inventory. The team was obligated to enlist nondescript friends in order to acquire the hoards of peat necessary for creating the Dirt Blizzard. "The energy was truly epic," describes Chris McLeod, Whistler's supervisor of industry, film, and communications. "It really felt like a powder day at Whistler. You could feel the athletes' anticipation of laying fresh tire tracks in the deep dirt." One of the most significant challenges TGR and Anthill faced while filming the Dirt Blizzard segment was veiling the deep piles of peat and production equipment from public view, so as to avoid spoiling the unReal dream. In addition, to avoid disturbing the regular 10a.m. bike park opening and lift operations, everything had to be cleaned and moved away from the mountain’s base area by 9:30am each morning. For three consecutive days, the production crew began blowing dirt across the bike park, trees, and lift towers at first light. Once the cinematographers were one-hundred percent, the athletes had minimal time to nail their lines.